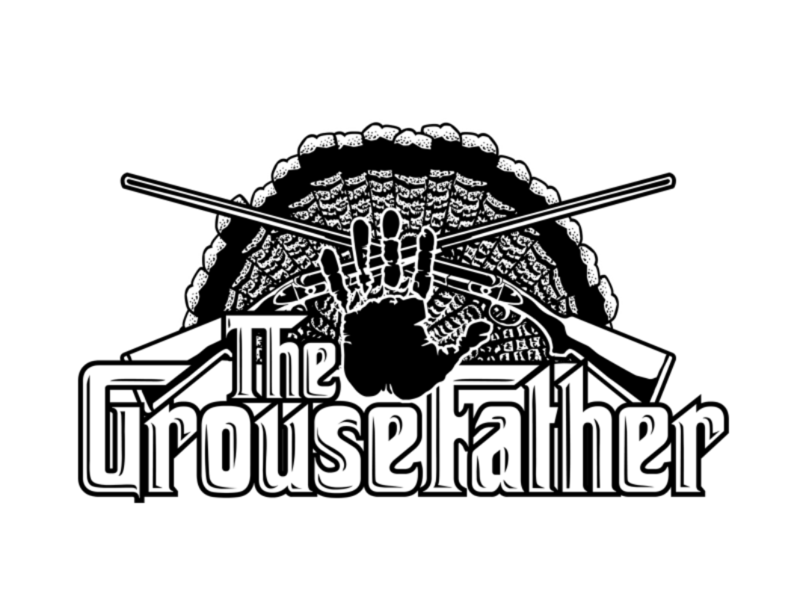 I consider myself fortunate to have had the pleasure of seeing many different breeds go from “Mouse to Grouse”. The special feeling you get as you wait for the breeder to tell you the pups are ready to go and you drive over to bring home that bundle of promise. That high for me has always completed something deep within me to seek what each dog is to me….MY BEST FRIEND. Face the facts boys and girls…Humans can’t do this for us. They wag their tails when they know we are approaching, they drop their ears back when they see our hands reach over to pet them in anticipation and keep one eye on us as we walk closer as they are on point in utter perfection. I defy any of my “buddies” to run full steam through a tangle and rip themselves apart to find me a bird, just to come back for a simple praise or a pat on the head…. Our dogs are an extension of our hearts and souls. 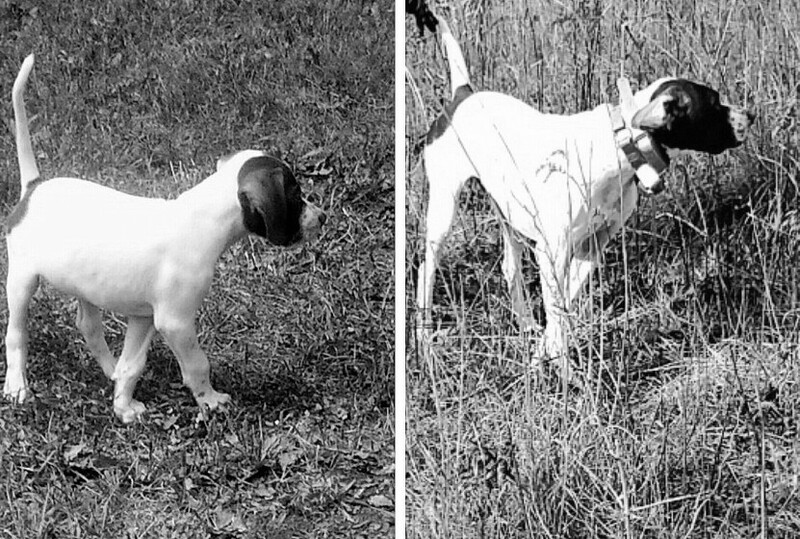 The bond between a bird dog and its master is special, and as I watch hunters cast their dogs, I see that connection as they work as one. This is not always the case, but, for the most part it is. I have had many dogs since I was a kid, but none as special as my dog Fatso who I have today. He hasn’t broken any records or has limited out in 10 minutes….but he shows me every day that he is my dog and make no bones about it….he loves to be around me and a gun. This is how it was since the first day I saw him. My Dog Fatso came from Kissimmee Kennels in Oxford, CT back in 2012. 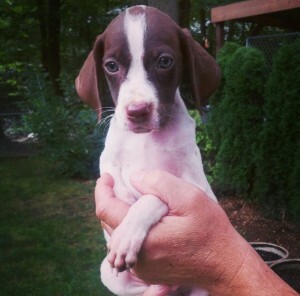 Dan Grabowski is a friend of mine and mentioned he had a litter coming up and that I should take one. So off I went to see this litter when they were ready. I believe there were 5 or 6 males, 2 of which were bigger, 1 runt male and 2 that were average in size. I asked Dan to take out the Males only since I didn’t want a female and so he did. The Choice pups of the litter were obviously the bigger males which he put down first. The biggest male was nice and white with a decent mask on his face, the other bigger pup was boisterous and full of energy. As I sized them up… I kept looking down and seeing this pup at my heels. He was one of the mid-sized pups and no matter where I went…he went. I tried to move away from him as the others came by walking in a different direction and he would pick his head up to look for me and stay at my feet. Fatso was doing the picking and I was just there to take him home. The other pups wandered around for a bit and when called would pay attention and then off exploring…Not Fatso. 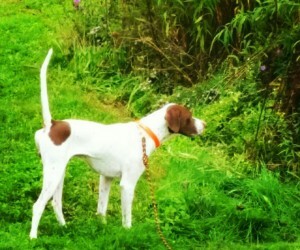 We all have different things we look for in a dog…especially those of us who want a good Grouse Dog. Those early days in the back yard when you start with the wing on a string or playing fetch with your pup. With every milestone and each example of what is inherited we envision what the future will be like on a fall day in the Grouse woods. There is a level of perfection to those dreams and visions. 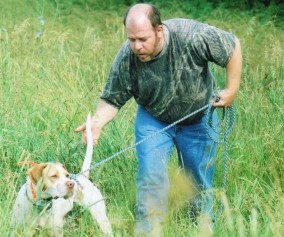 The dog will point perfectly… honor another dog….stay steady to wing and shot and retrieve when the bird is taken. Synchronicity of all those images and processes capture your thoughts as you mentally lay that tail gate down on opening day of the puppy’s first season. So much promise and every run and tumble tells you what you believe is that puppies first glance at what they will be. So, we all tell ourselves that this one is it! The perfect dog! The dog of all dogs! Rightfully so, as it is a fact that all those things are true. You see, the secret of the perfect dog isn’t in its gait or how they hold their tail…..the secret to a great grouse dog is their ability to be cautious and aware of your proximity to the bird. Hot Points/Unproductive points occur when a dog simply hasn’t zeroed in or hasn’t fully got the gist that the scent levels have to be stronger for it to be a bird. We all have moments of impatience and want to throw in the towel when the dog disappears for an hour in the woods. 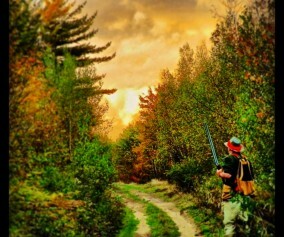 Who knows…chasing a deer or scattering a small flock of Turkey… None the less, it happens to the best of us. These instances in the development of a dog have to happen as they may be a perfect opportunity to teach the dog that wherever you are is the place to be. 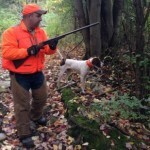 It is so nice to see a dog develop from those early days into something more each time they are exposed to wild game. With every touch comes the knowledge and with every experience comes the tenure to be one more step closer to a complete run. 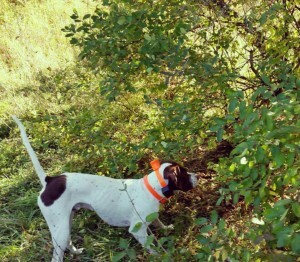 When he was 2 I sent him to my buddy Billy Ballin for some bird work. Billy is a setter man who loves bird dogs…Setters. 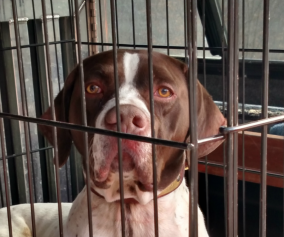 I had the pleasure to get to know Billy and hunt with him over the past few years and know he has the perfect temperament for training dogs. Hes firm when he has to be and soft to win that trust. Last summer Fatso spent the better part of a month in his care and the results were astounding. Billy taught Fatso how to be a dog…..yes, A DOG. 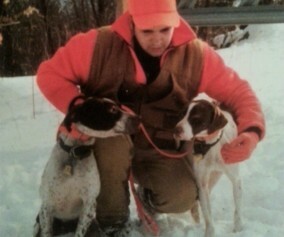 The birds and the hunting part are in his DNA, Billy would tell me how my dog needed to be around dogs in order to be a better dog. Fatso is the only child besides my 2 kids at home so pack introduction and acceptance is key. It was from that stay that Billy had let my dog out for a run and Fatso got on the other side of a small patch down by Bills Pond where he locked up on a big fat female Woodcock. Billy immediately took a snap with his phone as he initially thought that Fatso ran off only to find his tail high on this patch which made us both proud. I picked him up and hunted him hard last season. From this little mouse who weathered Hurricane storms with me, Electricity Outages, deck collapses and car accidents…..he sees me packing my gear and howls with excitement when I leave Metropolitan NY with him. He has made that trek since he was a little pup and knows his way up to where he belongs, somewhere on a ridge where there is a grey sky and burning leaves who wait to hear his crashing through the bramble like he did when he was the size of a Mouse.